The government shutdown shuts down conservation efforts. For over a month stories have been surfacing about the overuse and defilement of public lands, the financial plights of furloughed federal employees, and the continued bickering between steadfast politicians that seemed unwilling and unable to compromise. But to the surprise and relief of many, a temporary "agreement" was finally made in late January to bring an end to this unprecedented government shutdown. Our outdoor playgrounds and the federal employees that manage and safeguard them have finally stopped suffering - at least until February 15th, at which time the current agreement expires and the Trump Administration threatens yet another government shutdown if their border security requests aren't fulfilled. With the potential for yet another shutdown looming (and many in Washington believe it is likely), federal employees, federal lands, and the natural resources within them, may unfortunately resume their plight. And it isn't just them that will continue to suffer - interwoven with the public entities and agencies that steward our lands and natural resources is a slew of research collaborations, small businesses and non-profit organizations that rely upon government contracts, partnerships and funding to carry out instrumental research and conservation activities; all of which goes out the window when the government shuts down. As luck would have it though, the government shutdown occurred smack dab in the middle of their 2018 - 2019 field season, and if it resumes their entire study may be compromised. Consisting of biologists, biometricians, graduate students, data managers, field technicians, volunteers and more in the US and Canada, the Lynx Project relies entirely upon government operation to conduct their work. They are currently in the midst of an 8 - 10 year study to determine how the federally listed as threatened Canada lynx (Lynx canadensis) moves through the boreal forest ecosystem (a habitat that traverses political borders) in response to abundance and population cycles of their prey, the snowshoe hare (Lepus americanus). Their work is not only critical for the long-term recovery of the species, but is a stepping stone toward developing effective, multi-national management policy for this charismatic species. As luck would have it though, the government shutdown occurred smack dab in the middle of their 2018 - 2019 field season, and if it resumes their entire study may be compromised. Follow along with the Lynx Project. Across the arid desert basins, scrublands and mountains of Nevada, the Great Basin Institute spearheads the Nevada Conservation Corps (NCC) - a federally funded volunteer program that conducts field research and direct conservation service, while providing students and young professionals opportunities to gain valuable work experience in the natural resource management field. 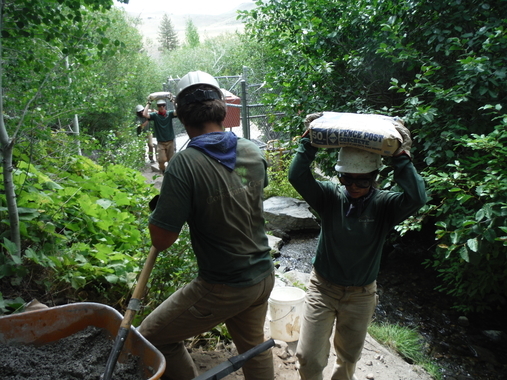 Through their ability to curate an incredibly hard-working volunteer workforce, they possess the ability to step up to the table when federal land managers don't have the budget or staff to conduct much-needed tasks such as forest fuels reduction, trail maintenance, exotic species management, and natural resources surveying and inventory. On more than one occasion, the NCC's work has proven invaluable for the agencies charged with managing and protecting our natural resources, but for 35 days they were on standby. "It's crushing us," said Jerry Keir, Executive Director of the Great Basin Institute when asked by the Nevada Independent in the midst of the shutdown. With all of their federal contracts on hold, they had to pull from their limited reserves to retain staff until the shutdown was resolved. Another shutdown will only force them to dig deeper. 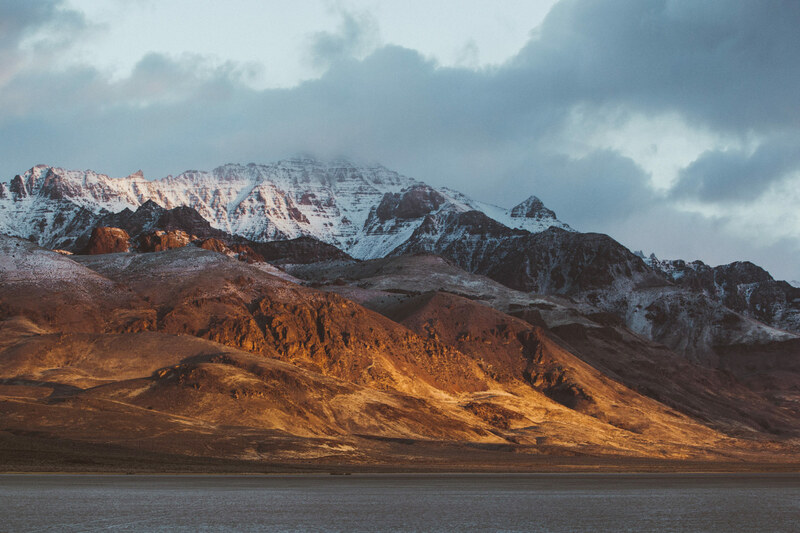 Support the Great Basin Institute. Dedicated entirely to the betterment of freshwater ecosystems, The Freshwater Trust utilizes a science and ecology-based approach to wetland, stream, and river restoration in an effort to allow wild fish and other native species to thrive, and with the intention of making local water resources healthy enough to support local communities and economies. For over thirty years The Freshwater Trust has worked not only to develop their cutting-edge methods of watershed assessment and rehabilitation, but to reevaluate how watershed restoration efforts and local communities coexist. 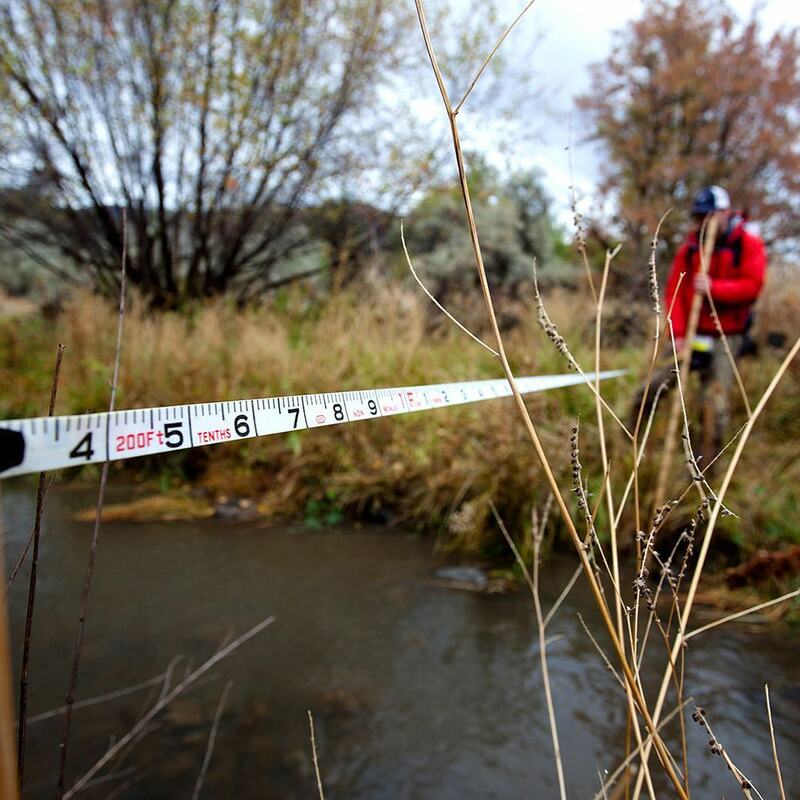 Through their efforts they've worked to improve numerous watersheds across the Western United States, in the process becoming the largest restoration-focused organization in the Pacific Northwest. However, despite their size they are still reliant upon their federal partnerships to assist with fieldwork and surveys, specifically regarding the more time intensive forms of labor involved with long-term monitoring and surveying efforts. During the shutdown, federal employees were unable to carry out their typical field tasks, so The Freshwater Trust had to allocate a significant amount of their own staff to various projects to ensure that monitoring efforts and data collection were not stalled. Help The Freshwater Trust help our watersheds. The shutdown halted fieldwork, ate into budgets, delayed grants, and swamped staff. Across the nation, public-private collaborations, non-profits, federal agencies and personnel responsible for carrying out activities that safeguard our public lands and natural resources, took quite a hit during the shutdown. The shutdown halted fieldwork, ate into budgets, delayed grants, and swamped staff - and not only for those organizations mentioned above, or for others in the realm of natural resources management, but for various other groups working on social justice issues, health and medicine, humanitarian efforts, social services organizations, and more. “The federal government shutdown [did] not solely impact federal employees,” said Elizabeth Santiago, the executive director of the Center for Safety and Change when asked by Lohud. “It impacted everything." In light of all that happened (and all that was prevented from happening) during our nation's unprecedented shutdown, may we all collectively cross our fingers in hopes that Shutdown 2.0 doesn't come to fruition on February 15th. Should it occur, many organizations will undoubtedly need our help. Be ready. If you are wondering how you can help, and are having trouble tracking down non-profits doing good work in your area, don't ever hesitate to contact us at [email protected]. With our experience in the non-profit sector we would gladly do some digging (the digital kind) on your behalf and offer a recommendation of where your time and/or money might be best spent. We look forward to hearing from you!